This is a simple and delicious recipe for grilled stuffed mushrooms. Portabella mushrooms work really well for this recipe because of their large size and shape, which won't slip through the grates of your grill. You can vary the number of mushrooms depending on the size. 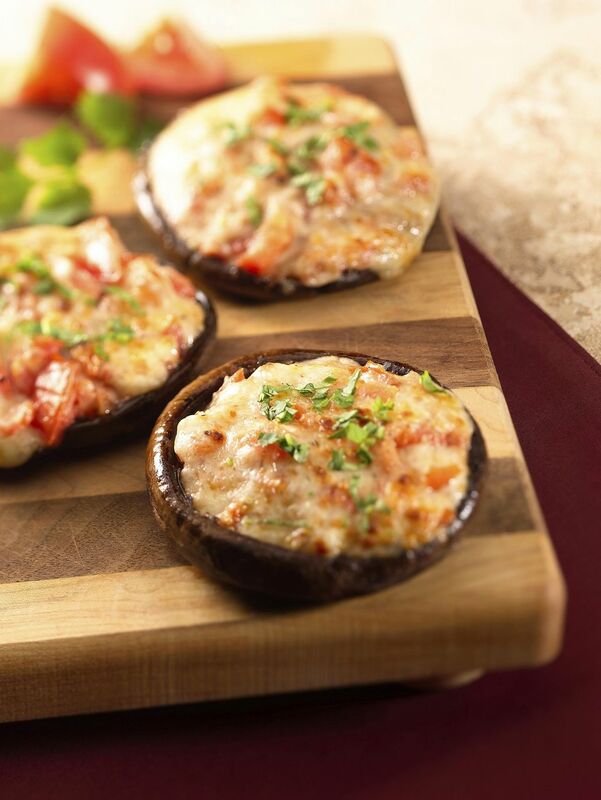 While this calls for four large portabella mushrooms, you can use eight to 12 medium-sized mushrooms instead. You can serve these stuffed mushrooms as an appetizer or as a vegetarian main course. To make it vegan, use olive oil or margarine instead of butter and omit the cheese on top, use a vegetarian cheese, or sprinkle it with nutritional yeast flakes. The portabella mushroom is simply a more mature crimini mushroom, the common white mushroom you see in your supermarket. Left to grow a few more days, it can grow very large and develop more flavor. Always choose mushrooms that are firm and avoid any that are limp, shriveled, or slippery. There is a debate as to whether the name is portabella or portobello. The Mushroom Council, an industry group of producers and importers, has come down on the side of calling this mushroom the portabella. Wash mushrooms and cut off the stems. Reserve the caps. Chop the stems finely. Combine the breadcrumbs, mushroom stems, thyme, oregano, rosemary, garlic, salt, and pepper in a food processor and pulse about 15 times. Don't over process. Stir in the chopped pimentos. Preheat the grill for medium-high heat. Once the grill is heated and right before mushrooms go onto the grill, oil the grill grates well. Brush the bottoms of the mushroom caps with olive oil and place 1/2 tablespoon of butter inside each cap. Place the mushroom caps on the hot grill for about four minutes. Remove the mushroom caps from the grill, stuff each with the breadcrumb mixture, and top each with grated cheese. Return the mushroom caps to the grill and cook an additional four minutes. Once the mushroom caps are cooked, remove them from the heat and let them stand for five minutes. Carefully cut the stuffed mushroom caps into quarters and serve. This dish can be served as an appetizer, side, or main dish. If you are serving it as a main dish, serve the stuffed mushrooms whole along with fresh salad greens or your side dish of choice. You can easily vary the stuffing for the mushrooms, adding different herb and spices and different kinds of cheese, such as grated Parmesan.